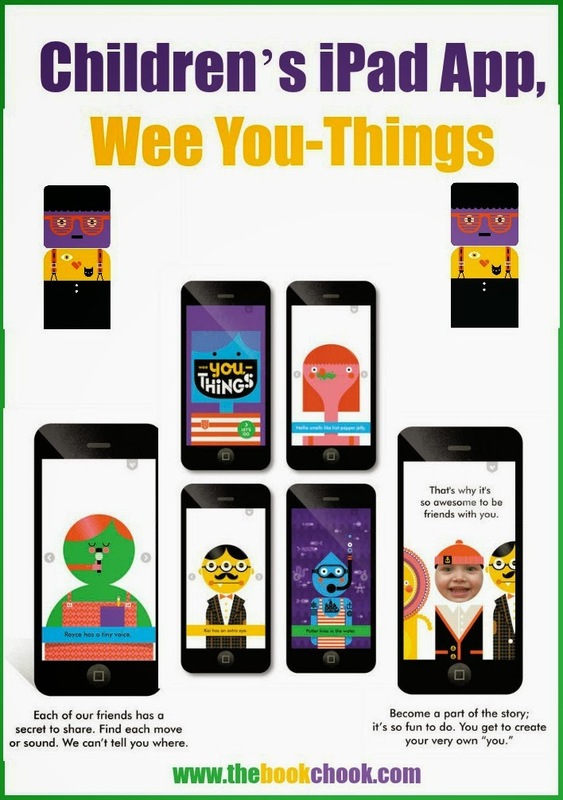 Wee You-Things is an interactive story app that celebrates individual differences and helps kids learn to read the text on the screen by hearing it read aloud at the same time. Wee Society's newest crew of characters celebrates "you-things" – those little and big things that, together, make you special and like no one else in the world. Ruth has a purple tooth. Little Dot gets scared a lot. Brad has two dads. What's your special you-thing? Are you tall? Or quite small? Do you have messy hair? Do you sneeze in the fall? You have many you-things, yep you sure do. That's why it's so awesome to be friends with you. Take part in the story and uncover surprises on every page. Music and narration from indie rock band Rabbit! It’s great to find an interactive story app that encourages children to think about our differences and similarities as individuals. The lesson isn’t heavy-handed - in fact, this is such a giggly, smiley kind of app! Kids will enjoy exploring the interactivity and animations, as much as they’ll enjoy adding themselves to the app via a photo. Aside from celebrating that we are all special, what I absolutely loved about Wee You-Things is the graphic design inside it. A very talented creator has used gorgeous patterns, shapes and colours to skilfully develop characters with a unified theme. Each character is very cute, and kids can read about them before tapping the screen to find their animation. At the end, there’s an opportunity for kids to ponder what makes themselves special, before creating an avatar of themselves, with or without a photo. Australian kids may notice a very slight problem with pronunciation - e.g. the read-alouder rhymes Potter with water. But this is no different to what they hear on lots of TV shows, and is all grist for the learning mill. You might like to check out my other iPad App Reviews on Pinterest.